The Westport Police Athletic League has announced Melissa & Doug LLC will again sponsor the annual fireworks display on July 2. Rain date is July 3. The first family of fireworks, the Gruccis, will be providing the fireworks for the 62nd show. 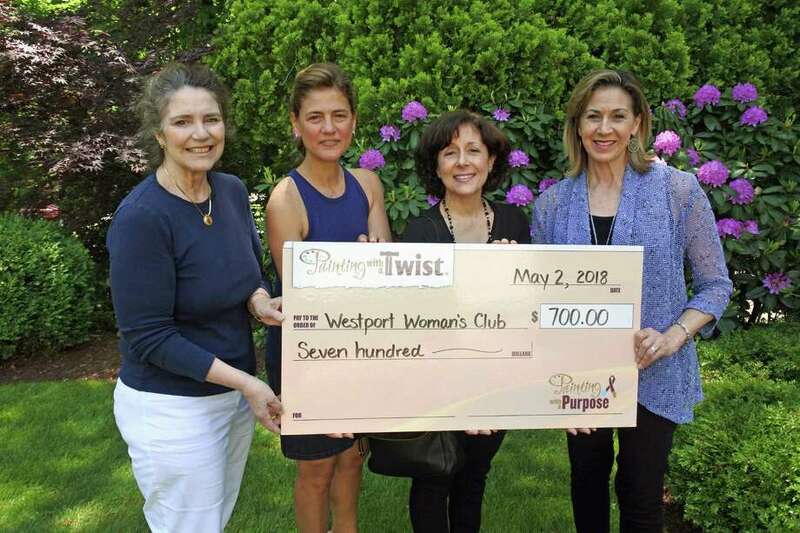 Tickets are on sale and can be purchased at the Westport Police Department, 50 Jesup Road, as well as the Westport Parks and Recreation Office at 260 Compo Road South. Ticket sales are limited and are on a first-come, first-serve basis. Tickets are $35 per car. Once tickets are sold out, shuttle passes from Longshore will be available for purchase. The Federation for Jewish Philanthropy will host its second annual Southern Connecticut Jewish Food Festival, A Taste of Israel, on June 10, from 1 to 6 p.m. at Temple Israel, 14 Coleytown Road, Westport. Tickets are $5 for adults, $20 for a family of five; $10 for adults, $30 for a family of five on the day of the event. For information, to register and to volunteer, contact 203-226-8197 or shalomct.org/foodfestival. The Westport Library has named resident Justin Paul the 2018 BOOKED for the evening honoree. BOOKED for the evening is the signature fundraising event for the library, during which the library honors an individual whose work reflects its mission to nurture the love of learning. Due to the construction underway at the library for the Transformation Project, this year’s 20th anniversary BOOKED for the evening fundraiser will take place June 11 at the Rolling Hills Country Club in Wilton at 7 p.m.
Paul is an award-winning composer and lyricist. In 2017, four months after taking home an Oscar for the lyrics to “City of Stars,” from the movie “La La Land,” Paul and his song-writing partner Benj Pasek won a Tony for the score of the Broadway musical “Dear Evan Hansen.” Paul was born in St. Louis and raised in Westport. He attended the Music Theater of Connecticut School of Performing Arts, Coleytown Middle School and Staples High School. Tickets for the event are on sale. To learn about sponsorships, contact Cindy Clark, director of development, at cclark@westportlibrary.org or 203-291-4824. In May, the Westport Librarylaunched its annual summer reading programs for adults and children . For adults, the library is offering its Summer Reading Challenge — a series of 25 challenges for readers to complete. The challenges range in topics such as reading a book with a red cover and reading a book that scares you, to reading a book that inspired a Netflix Original. The adult summer reading challenge is designed to be fun and interactive allowing participants to track their progress online, write reviews and rank books as they go. There are opportunities to win prizes and participate in programs throughout the summer. The children’s component of the summer reading program officially kicks off with an event on June 9 from 10:30 a.m. to 12:30 p.m. at Christ & Holy Trinity at 75 Church Lane. Participants will have a chance to meet author Christina Uss when she talks about her cycling adventures, as well as her book “The Adventures of a Girl Called Bicycle,” about a determined 12-year-old girl who bikes across the country. The children’s program runs from the kick-off through Labor Day weekend and has programming for all ages: early literacy, independent readers and middle and high school students. Participants can log their reading on paper or online with Beanstack and there are opportunities for prizes and other recognition. Those who sign up for Beanstack have the option of getting personalized book recommendations each week. A new addition to the adult Summer Reading Challenge this year is the Saugatuck Side Quest. This challenge gives participants the opportunity to start 10 more challenges. For information, contact Melanie Kelly at mkelly@westportlibrary.org or kids@westportlibrary.org. The Westport Pops Concert at the Levitt Pavilion for the Performing Arts returns June 8. Featuring instrumental and vocal ensembles from Staples High School, this musical tradition opens at 5:30 p.m. on the lawn of the Levitt with pre-concert musicians and food trucks on the premises. The concert begins at 7 p.m. Tickets, which are free, can be acquired at staplesmusic.org on a first-come, first-served basis. In the event of inclement weather, the concert will be performed in the Staples High School auditorium at 70 North Ave., where tickets will be honored. The concert, modeled on Boston’s fabled Pops on the Esplanade Concert Series, will feature a program of popular classical and contemporary music from the repertoire of the school’s Symphonic Orchestra and Band, Jazz Band and the elite Orphenians vocal ensemble. For concert information, contact staplesmusic@westportps.org. For information about the Levitt Pavilion and its upcoming special events and summer season, visit www.levittpavilion.com.